Melody Romanov 2. Another picture of Melody and her parents as the Romanovs along three fictional sisters and one fictional brother and yes Eric has a facial hair. 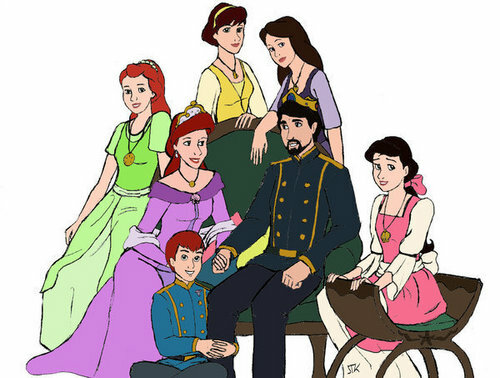 Wallpaper and background images in the Young Heroines of disney club tagged: melody ariel eric walt disney.